More and more construction sites are cutting their greenhouse gas emissions. 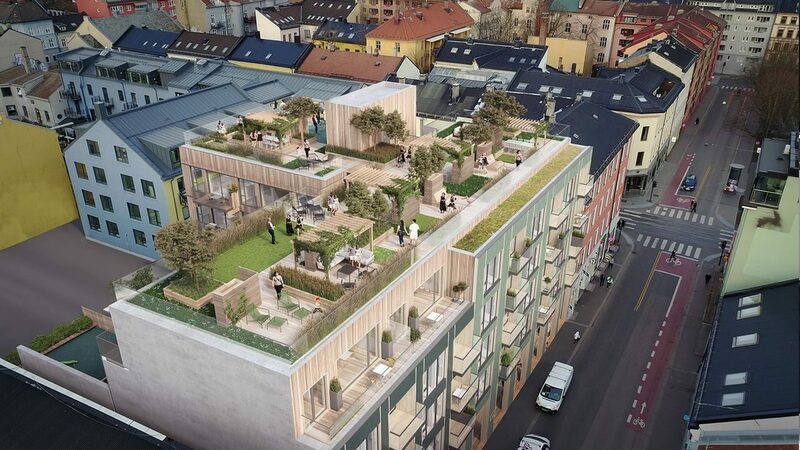 According to a new report, virtually all construction in Oslo could be zero-emission by 2025. The demolition of the old buildings on the plot was also completed without the use of fossil fuels. The new apartment building will be constructed from solid timber and will be heated with energy from geothermal wells. There will be green areas at both ground and roof level to improve surface water management. Work on reducing atmospheric emissions is taking place at private- and public-sector construction sites in Oslo. Fossil-free building sites are a step along the path towards zero-emission construction processes, and the next step may come more rapidly than many people think. This is the finding of a report prepared by DNV GL for the Climate Agency. Read the report in English here! Pon Cat has launched a 25-tonne electric digger, developed in Norway. Pon Cat anticipates that several of its other machines could run on battery power using the same concept. The City of Oslo is to build a 30-tonne battery- and hydrogen-powered digger in collaboration with NASTA, SINTEF, Skanska, Siemens and Bellona. Enova has introduced new funding schemes to subsidize purchases of zero-emission construction machinery. The report sketches two scenarios for cutting emissions from construction sites in Oslo. In one of them, almost all emissions could be eliminated by the end of 2025. This scenario is dependent on all developers, both private- and public-sector, requiring contractors to use zero-emission construction technology. If such requirements are to take effect on construction sites in 2025, then they will need to be included in tendering documents from 2021 onwards. Eliminating emissions by the end of 2025 is also dependent on all construction machinery becoming electric, powered either by batteries or hydrogen. A requirement for construction sites in Oslo to be zero-emission could help speed up the pace of technological development. Eliminating emissions by the end of 2025 will also be dependent on an increase in international demand for zero-emission machinery, as this will contribute to increasing the range and reducing the price of such machinery. We want to take our share of responsibility for reducing greenhouse gas emissions in accordance with the Paris Agreement. Under the second scenario, we would have to wait until 2030 for almost all emissions to be eliminated from construction sites in Oslo. In this scenario, DNV GL envisages that the sector will take longer to transition to zero-emission technology, particularly in the case of heavy machinery. 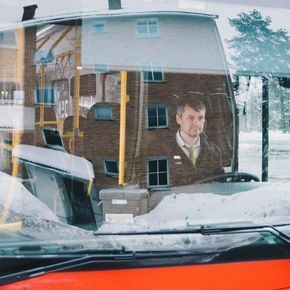 Partly as the result of demand in Norway, the first models without internal combustion engines are now entering the market. 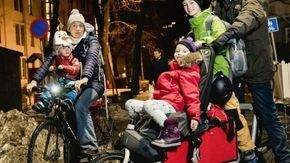 In general, vehicles and building and construction machinery used in connection with the performance of work for the City of Oslo should have zero-emissions technology. Procurement that allows for the use of other technology must be specifically justified in the contract strategy. For vehicles and machinery where zero-emission technology is not available, biofuels (preferably biogas) should be used. All renewable fuels should as a minimum satisfy the EU’s biofuels sustainability criteria. No biofuels should be used that are based on palm oil or by-products from palm oil production. Construction sites account for approximately one-fifth of greenhouse gas emissions in Oslo (figures for 2015 from Statistics Norway). In addition, diesel-fuelled engines and generators cause local air pollution. In most places it is possible to use eco-friendly sources of energy – such as district heating, geothermal heating, or electricity – for heating and drying during construction activities. The City of Oslo is itself a major participant in the construction sector and as such can hasten the adoption of eco-friendly practices. Over the next few years, the municipality will invest NOK 30 billion in buildings, roads, and water and wastewater infrastructure. 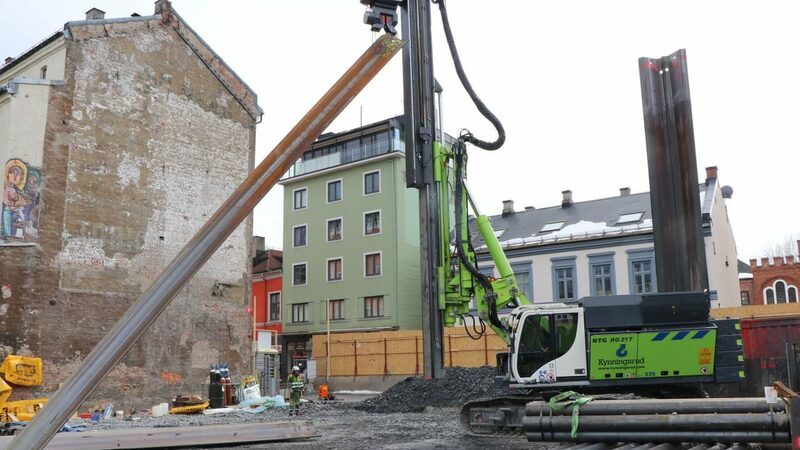 Since 2017, the municipality has required that its own construction projects be fossil-free, as well as requiring that contractors connect buildings to the district heating network during the construction phase where possible. The new procurement strategy that has applied since October, 2017, specifies that the machinery used should employ zero-emission technology, as far as this is possible. Businesses in the sector welcome such requirements, as long as they are allowed sufficient time to find technical solutions. The Contractors Association – Building and Construction EBA has asked for a requirement for completely zero-emission construction sites when new subway and rail tunnels are excavated under Oslo, and has also asked that indications of such a requirement should be given several years before contracts are put out to tender. 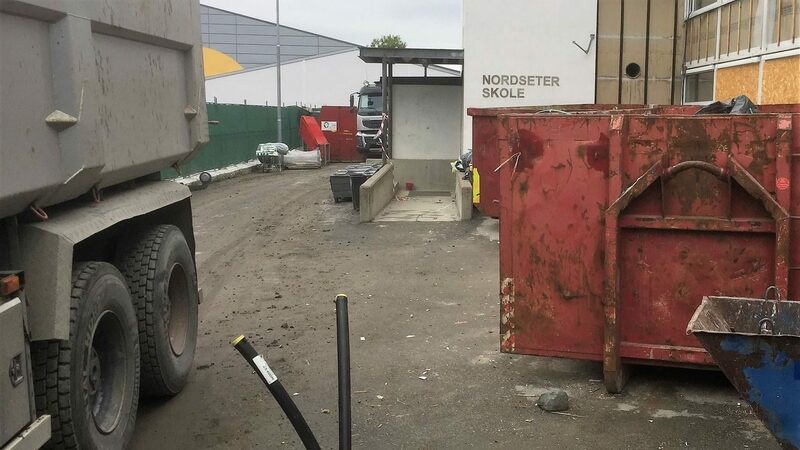 Nordseter School at Nordstrand is one of several dozen places where the City of Oslo is operating fossil-free construction sites right now. When the renovation programme for the old school building is completed, the combined primary and lower secondary school will be one of the biggest in Oslo, with 1,200 pupils. Once again, most of the machinery is running on biodiesel, although some machines are electric. Geothermal wells, which will help to heat the completed building, will also heat and dry the building during construction. 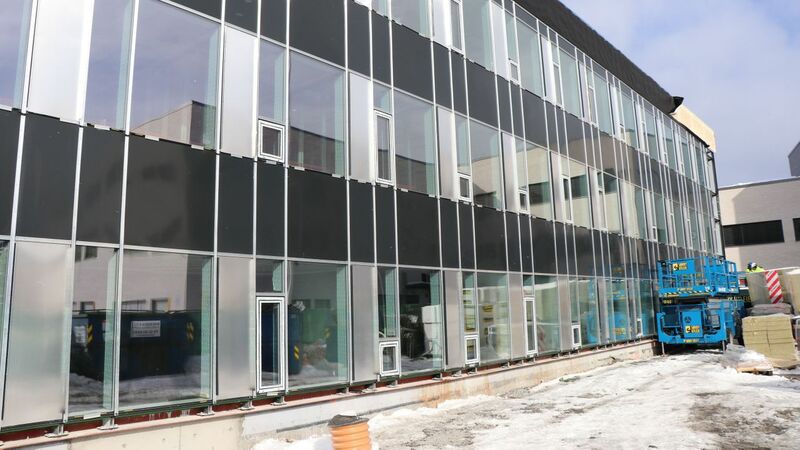 The school will be an ultra low-energy building, also known as a Passive House, and will produce its own energy using solar cells on its walls and roof. 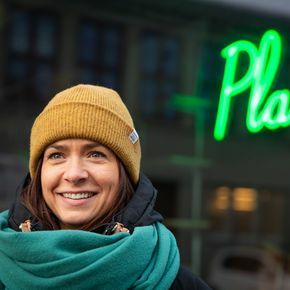 Back in Nordre gate in Oslo’s Grünerløkka neighbourhood, project manager Carl-Jørgen Blakstad at Veidekke Entreprenør agrees that the sector will manage to adapt to the requirements that are being imposed. He is keeping a keen eye on costs, however.